WANT TO WIN $100 VALENTINE BOUQUET??? 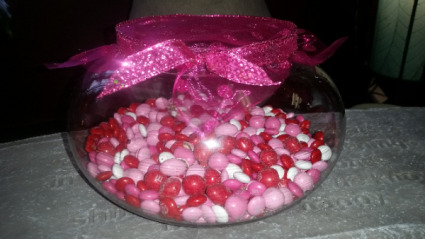 GUESS HOW MANY M&AMP;M'S, VISIT US ON FACEBOOK TO ENTER YOUR GUESS. WINNER TO BE ANNOUNCED TUESDAY FEBRUARY 12TH! GOOD LUCK! 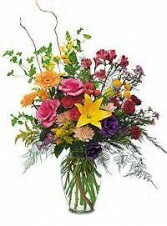 BEAUTIFUL BOUQUET DESIGNED JUST FOR YOU! 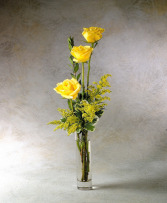 Let our professional designers pick our freshest blooms and design a unique bouquet just for you! Our flowers arrive fresh daily and we will choose the most beautiful blooms and arrange them in a glass vase, let us surprise you! We guarantee you will love it! Looking for a different price point? Please call, we would be happy to assist you! Please specify if you would like another color rose.